Apart from the towns and cities mentioned in this book where large number of Bharuchi Vahora Patels have settled since the early 1960s, towns like Chorley, Coventry and Nuneaton have very few Bharuchi Vahora Patels living there. Muhammad Munshi Manubarwala, who is highly respected in our community for his philanthropic activities, lives with his family in Chorley. The other notable family is that of Ibrahim Saleh Khansaheb of Vora Samni who has lived there for a number of years now. Maulana Mehboob is a well-known religious scholar of this town. 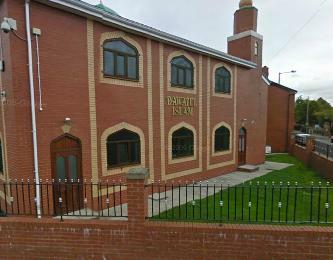 Dawatul Islam is the purpose built masjid situated in Charnock Street / Brook Street and is big enough to accommodate 550 worshipers. It was built at a cost of £400,000 with a handsome contribution from Muhammad Munshi and family and donations from other Muslims of the town. It was officially opened in March 2006.